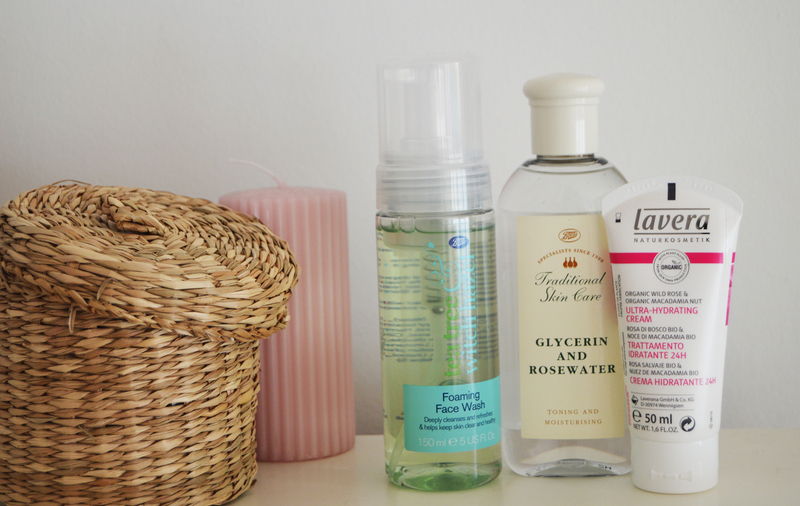 There is very important to clean your face day and night, but it is also very important the products you use to do it. It is important to treat your face good. 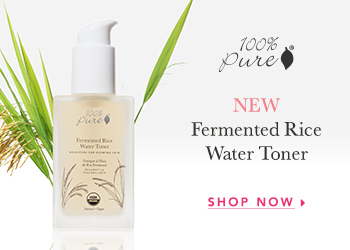 If you can chose products without parabens even better for your skin. You just need 5 minutes of your time every morning and every night to mitigate the external factors that damages it and to contribute to the internal process of regenerating. It is important to be constant in doing it everyday and night to perceive some results in your skin. 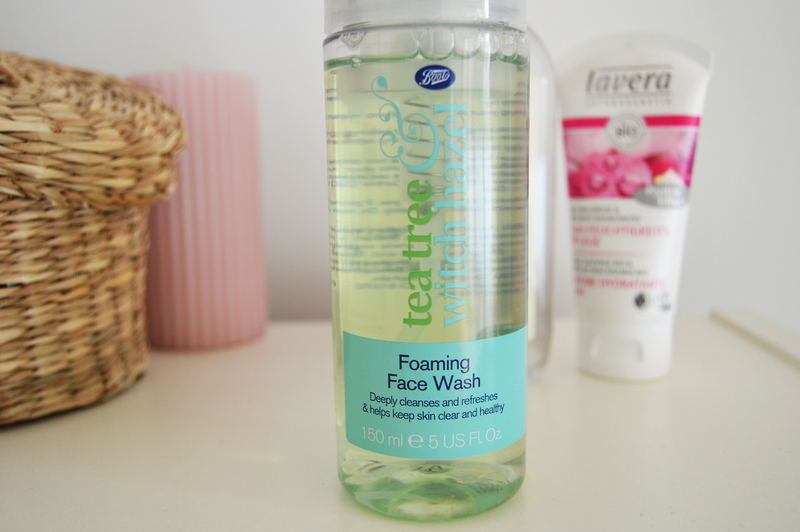 I am using now a foaming face wash by Boots with Tea Tree and Hazel. This refreshing foaming face wash contains antibacterial tea tree oil which is beneficial for its topical antiseptic and anti-fungal treatment or infection-reducing benefits. It has also hazel, that is a plant that is used to make a skin-healing astringent that’s capable of naturally reducing acne. 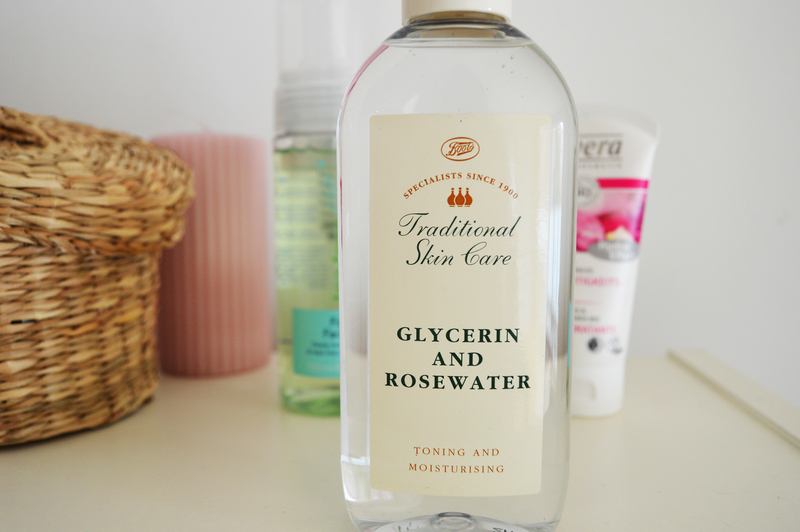 This glycerin and rosewater toner is perfect to keep your skin well nourished and it gives a refreshing sensation on your skin. Glycerin keeps you skin hydrated and moisturized by attracting moisture and water towards skin. 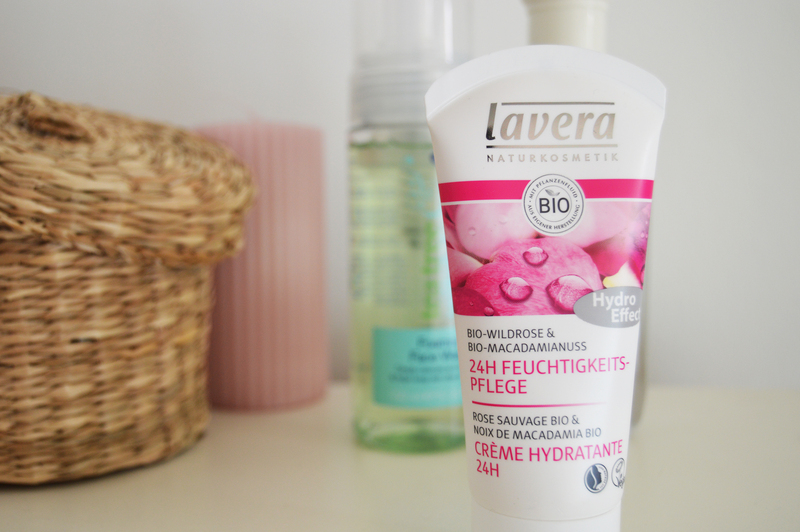 Last thing to add to my skin is Lavera ultra-hydrtating cream with organic wild rose and macadamia nut. Formulated without: Methylparaben, Butylparaben, Ethylparaben, Propylparaben, and many other heavy metals. This cream support your skin regeneration process and helps to brighten your skin without leaving you a greasy texture. So, this is my recommendation of the day. Just 3 products 5 minutes of your time every morning and night and your skin will be in a perfect shape! Have a wonderful day!